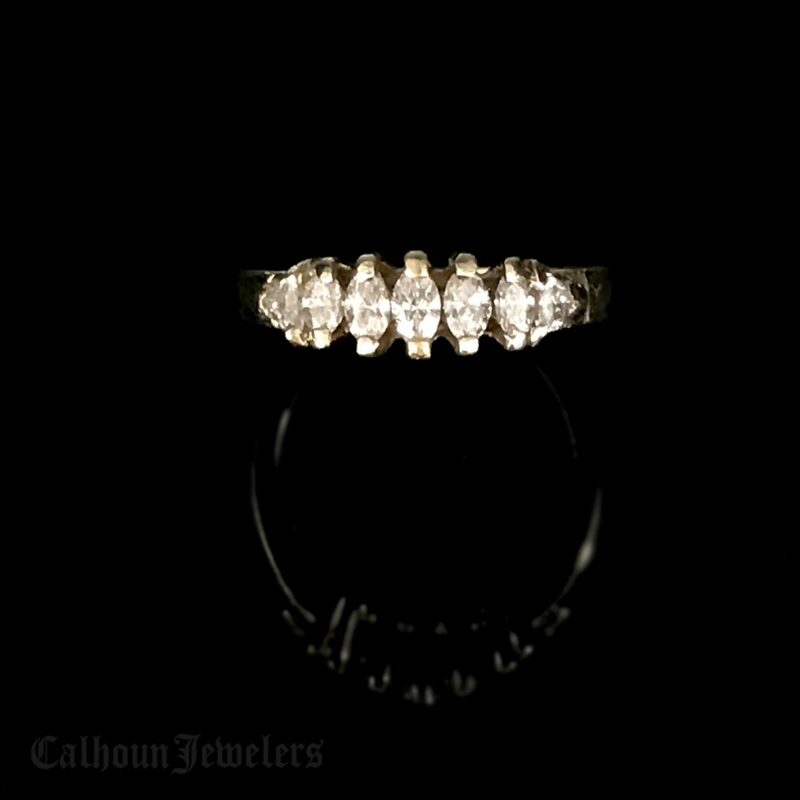 A yellow gold band enhanced with marquise and Trilliant diamonds. Five marquise are flanked by .05 ct Trilliants on either end. This would make a great statement wedding, stackable, or just for fun band.